The Letters of Robert Browning and Elizabeth Barrett Barrett (1845-1846) is a lovely two-volume copy, published in London in 1913 (new edition). The original edition had been published in 1898, by Harper and Brothers. The editor of the letters, not mentioned on the title-page, refers to himself as R.B.B. 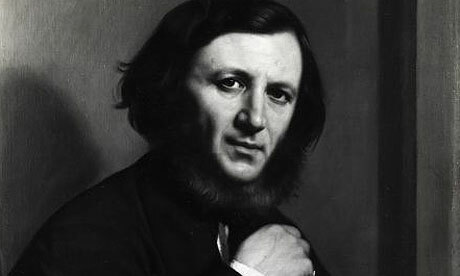 This was Robert Barrett Browning, the Brownings’ only son who received the letters shortly before his father’s death, with the words: “There they are, do with them as you please when I’m dead and gone!” (“Note”). What did RBB do to the letters when he edited them? In the “Advertisement” he mentions that they are “printed exactly as [they] appear in the original letters, without alteration, except in respect of obvious slips of the pen”. But what were these slips of the pen? To people interested in the history of English – and any linguist perhaps – these might be very informative. And what did RBB mean by “slips of the pen”, a double l in helpfull, or –or instead of –our in color? These may still have been common variants in letters of the mid-nineteenth century, and we won’t know until we see them what their status was. Furthermore, how faithfully did RBB copy the letters? Comparing Jane Austen’s letters, the ones which have come down in manuscript, to those that only exist in the form of copies made by her relatives for the purpose of publication, I found many differences between them. Jane Austen had peculiar spelling habits, such as that she wrote Adeiu for Adieu, but none of these forms occur in the copied letters. And what about the Browning love letters? All these things we will have to reckon with when analysing the language of the letters. Kingsley Amis wrote a short story about how the Brownings met, and why Elizabeth’s father was against their marriage. It is called “Mr Barrett’s secret” (Mr Barrett’s secret and other stories, London: Hutchinson, 1983). 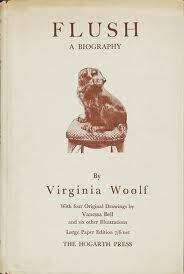 And there is the lovely story of Flush, Elizabeth’s spaniel dog, written by Virginia Woolf (Flush, a biography, Penguin, 1933). Both are well worth reading. 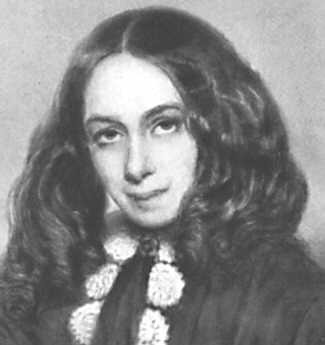 Source images: Robert Browning, Elizabeth Barrett Browning, Flush. This entry was posted in 19th-century letters and tagged Elizabeth Barrett Browning, Robert Browning. Bookmark the permalink.